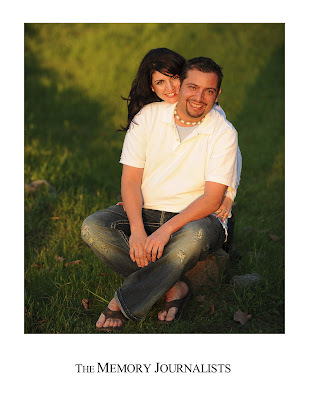 Stephani and Troy - we can't wait for your wedding day! 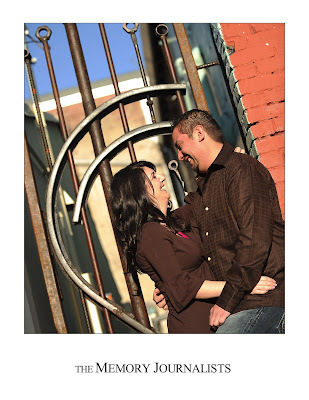 I'm so glad you both enjoyed your e-session so much. I think we could have kept shooting for a few more hours easily! I just LOVED all of Troy's ideas. Keep 'em coming! I know you've been patiently awaiting a sneak peak of a few images. :-) So without further ado...Enjoy. I just wanted to thank you and let you know how much I appreciate the time you take with my girls each and every time you take their photos. They all turn out so wonderful! I have a hard time selecting which pictures I want. You did such a great job capturing Rebecca's first year and getting adorable shots of Rachael, who just loves you. The album you put together was beautiful and I will treasure it forever. I have already recommended you to friends and family. Thanks again. We were very pleased that Jen and Cory were able to take natural, "in the moment" pictures of our family and didn't need us to "pose" in order to capture amazing shots. They were able to capture the individual personalities of each of our children on film and they gave us the gift of an everlasting memory of our last pregnancy. Both Jen and Cory interacted great with our children and made them feel comfortable. They brought props and fun things for the kids so that they were entertained and they kept their attention. It was unlike previous photo shoots from other photographers where the children were nervous and would cry or be upset. We look forward to their next visit! Thank you for suggesting that I document what I'm going through in my treatments for breast cancer. Were you not my friend, as well as a photographer, I would never have thought to have a picture taken without hair. Having breast cancer and going through chemo is not what most would consider "memorable". But your creative ideas for my album have provided life-affirming testimony that I'm still me. You have a gift for telling stories with your photography and the ability to create something meaningful. Your pictures have not only helped me, but also my friends and family. Maybe other people going through the same experience will appreciate your pictures as well. The part I treasure most is the expression you captured on my husband's face. I think it shows his true feelings better than words ever could.